Toretore Market (とれとれ市場) is one of the popular fish market located in Shirahama, Wakayama Prefecture. It is one of the largest fish markets you can enjoy tasty fresh fishes. 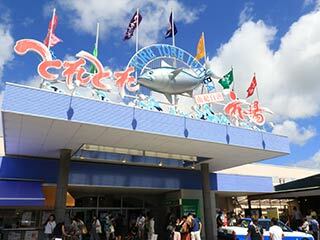 There are fish market area, seafood products area, food courts area and souvenir area that has all kinds of Wakayama products. Toretore Market is the marketplace that has fresh seafood and all local products from Wakayama Prefecture. There are sections of fresh fish markets, seafood products section, Tuna section, local souvenir section and a restaurant section that you can enjoy all taste of Wakayama Prefecture. There is a BBQ place that you can grill your seafood for your meals.